It’s no surprise that in today’s fast-paced offices knowledge workers are finding themselves completely swamped. Daily to-do lists, instant messaging pings, constant text messages, and overflowing inboxes are just a few of the things that make it hard for workers to focus. But new research in the 2018 Workfront State of Work Report reveals that these distractions are having a bigger impact on workers: they are struggling to find time to innovate. Over half (58%) of the more than 2,000 workers surveyed agreed with the following statement: “I am so swamped with getting day-to-day work done I don’t have time to think beyond my to-do list of today.” The research also found that Millennials and Gen X are more likely than Baby Boomers to say they are too busy with daily tasks to focus on innovation (62% and 60% compared to 53%, respectively). What’s more is that half of the workers surveyed say innovation is factored into their performance, but just two in five say their companies encourage them to set aside time for it. While employees are struggling to find time to innovate, they are also skeptical of their coworkers. When asked to rate their coworkers like Uber drivers, the average score was only 3.7 (out of 5); the average rating for Uber drivers in most major cities is 4.8. More than half of workers, 61%, say they know what their own work and priorities are, but other people’s work is a mystery to them. At the same time, workers say they are more productive than their coworkers and company leadership. These statistics point to some trends that could leave businesses falling behind in their industries and missing opportunities that require cohesive, tight-knit teams. But the 2018 State of Work Report also uncovers some information that could help managers turn this around. Here are three things managers can do to battle a lack of innovation and skepticism among coworkers. Most worker, (63%) reported that if they had more time to “just think,” their productivity would improve. If managers can intentionally set aside time — by adding it to schedules and project management plans — for creativity and innovation, productivity will increase. A large part of creative thinking and new ideas comes from brainstorming and teamwork, and this kind of work could also help solve the skepticism problem many workplaces are seeing. If workers have more time to focus on being innovative while engaging with others in the process, they will have a better idea of what everyone else is doing, helping them feel less skeptical and more confident in their coworkers. One-third of workers reported that the single biggest thing that would help them do more with less is instituting better processes. Even if managers aren’t able to set aside hours of time for innovation, they can institute good processes that enable employees to get more done and free up their time — and mind — for more creativity throughout the workweek. 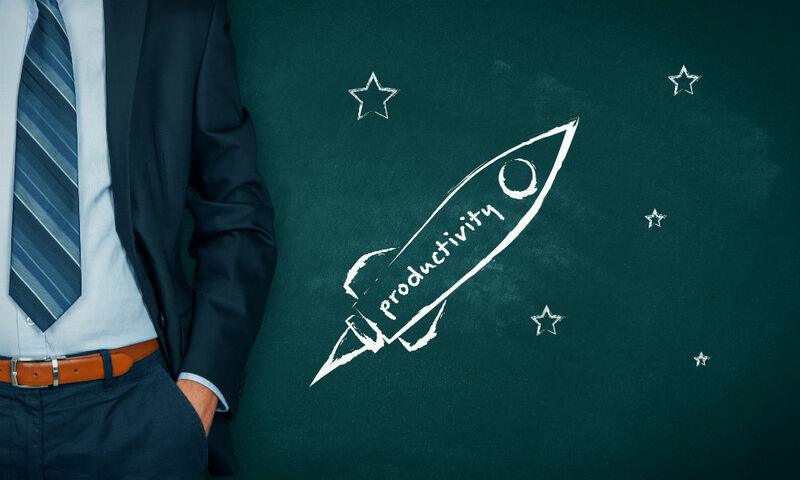 Good processes help employees quickly move through tasks and can even automate some things so employees spend less time on busywork. Processes can also improve the quality of work, so less time is spent redoing tasks. The two most common sources of conflict reported by workers were conflicting priorities and a lack of communication. In today’s workplace, spur-of-the-moment team meetings and countless emails can’t take the place of structured processes and an operational system of record. Information gets lost, communications become vague, and in essence, work becomes less transparent, leading to skepticism among coworkers. An operational system of record acts as a single source of truth where employees can get a comprehensive view of work being done and how their tasks — and their coworkers’ tasks — all tie back to common priorities. This kind of system also makes it possible to make innovation a part of the process, so that workers aren’t shortchanged when it comes to having time to come up with new ideas and industry-disrupting solutions. When managers allocate time for innovation, use solid processes, and employ an operational system of record, they will be creating an environment where innovation will thrive and skepticism will diminish, so teams can work to their fullest potential.